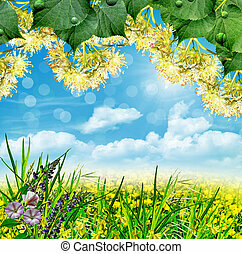 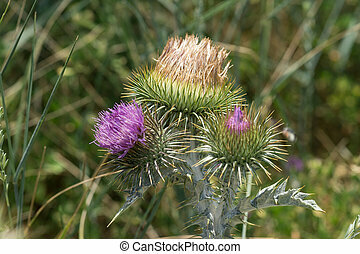 Banner of thistle buds and flowers on a summer field. 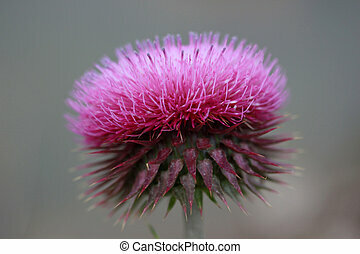 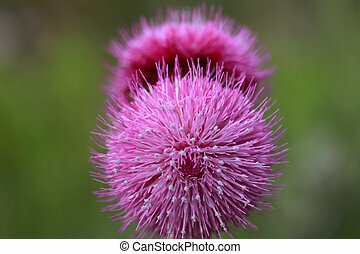 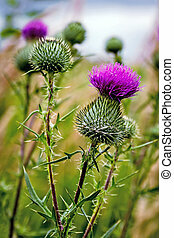 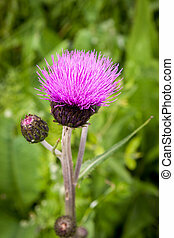 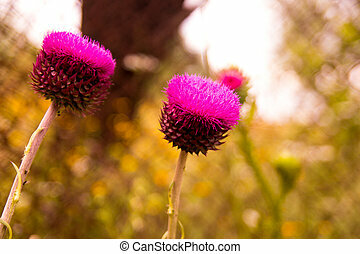 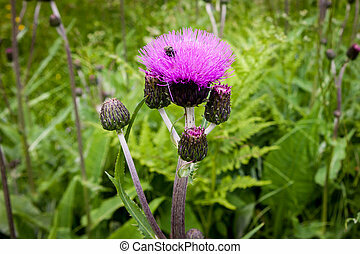 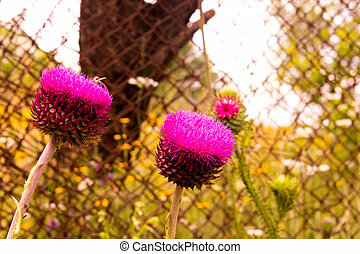 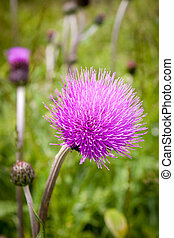 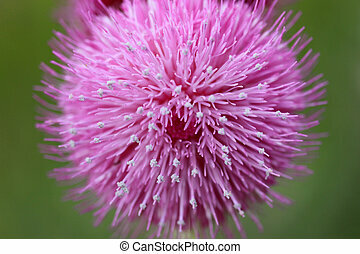 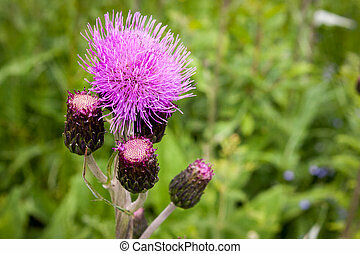 thistle flowers is the symbol of scotland. 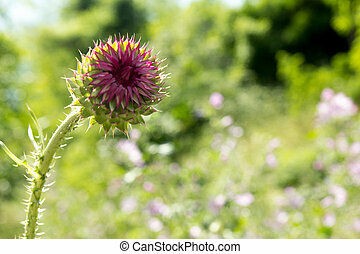 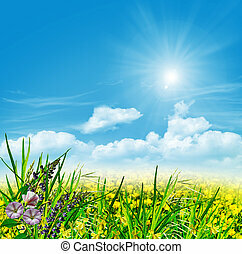 Thistle buds and flowers on a summer field. 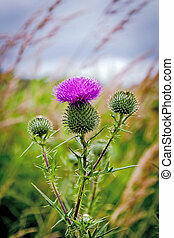 Thistle flowers is the symbol of Scotland.